Every organization or company has a specific set of goals that it tries to achieve. It adopts certain strategies and undertakes a few actions to make sure that the goal is reached. Marketing the product and services the right way does half the work and that is why most companies these days emphasize on the advertisement part greatly. It is only by reaching out to the right people, that you can grow and expand your business in a world where new businesses are coming up every now and then. Search Engine Optimization or SEO is a comprehensive tool that has been the sturdiest weapon for online marketing companies and businesses for the longest time. It limits the search field abiding by very specific criteria so that the company can advertise its services and products to the right people. That way, they can generate sales and increase their revenue. This will help them grow. It increases the visibility of the brand or the company by increasing the rankings in the search engine. This way, if anybody is searching for a related keyword then your website shall be visible to them. How to build your SEO team and guide them in a better way? 1. Assessment of budget – Perhaps the most important thing you need to consider is the budget when you are building an in-house SEO team. The right budget will get you the right resources and will help in the growth accordingly. It is more important to realize the components of budget quality-wise because contrary to popular belief, more budget doesn’t equal better SEO teams. You need to know how to utilize your budget to the maximum. 2. Company size – This is another factor that plays a huge role in determining the success of the in-house SEO team that you are building. Big companies with big budgets have failed because there are too many people at work and too many classifications. Therefore, interference and organizational hierarchy prove to be counter-productive. In fact, in a lot of cases, smaller companies with a big budget have proved to be far more successful than the bigger ones, just because they could effectively coordinate each department with the SEO team. 3. The strengths and weaknesses – It is important to assess the different strengths and weaknesses that each member of the SEO team has. For example, one member might be skilled people wrangler but not half as good an individual contributor. Someone might be great with writing elaborate codes but they might not be seasoned enough to deal with the diagnosis when something goes wrong. Therefore, there is a lot that needs to be considered when it comes to building the in-house SEO team. 4. Work environment – It is extremely important that your workers feel like they belong to their workstations. The work environment must have the latest technology and machines so that they can work with ease and in comfort. Presentations, discussions and group meetings to keep them engaged can help create an environment where they never stop learning. 5. Keeping them in the know – One of the biggest mistakes that most companies make is they treat their in-house SEO team as just a means to get what they want. That is wrong. The right way to manage the SEO team is to keep them updated about what is going on in the office and what the objectives and procedures are. That way, they feel like they are a part of the workforce. 6. Listening to ideas – One of the most important things that you need to do as a manager of an SEO team is listening to the ideas that are being pitched in by your SEO team. You might like some and you might not like the rest. However, you need to be flexible enough to take their advice because they can help you with the growth of your company. 7. Feedbacks – Like it or not, your feedback matters to your employees a lot and they expect you to be fair in your judgment as well. That is their basis of correction and expansion. One of the most important things to do to be able to successfully manage an in-house SEO team is to provide them with proper feedback. 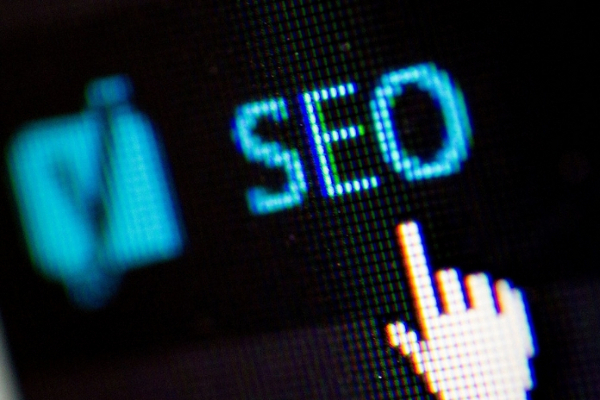 Building an SEO team is no different than building any other team. It takes time, perseverance and most of all, rules. Creative space – It is not right to mould the creative team to your benefits. That will take the essence of creativity out of them and eventually the company. Like it or not, it reflects. So, the best thing to do is to make the SEO team understand your goals and wants. They will find the best way to help you achieve that. Putting restrictions, both physically and mentally, can be quite tolling for the SEO team. Combine technicality and creativity – The team must be able to combine their technical skills and their creativity so as to create the perfect balance. This can greatly help the company in promoting their campaign and boosting the growth of the company. An e-commerce discipline – A lot of people forget that SEO is essentially an E-commerce discipline. They try and incorporate the tool into the IT sector to help them with the technical needs. However, this degrades the effectiveness of SEO to a great extent. The SEO team should not be merged with the IT team.